Was there for the free quiz night on Monday which was very enjoyable, the charismatic Irish landlord created a fantastic atmosphere and clearly it is a favourite among locals, who were just as friendly. These kind of old school, regulars joints are sometimes depressing but this place has a very welcoming, humoured atmosphere indeed. A very reasonable food selection was also offered to quiz participants. Guinness was well kept and they had real ale on tap too. Celtic memorabilia cover the walls but I would not describe this as an Irish pub as such. 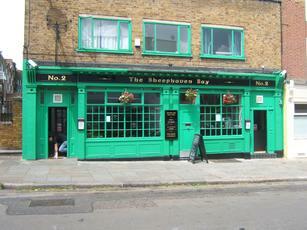 8/10, probably the best pub on that side of Camden Town. Nice traditional pub. Definite Irish character and clientel but it has an old school atmosphere. Friendly staff and regulars who are up for a bit of banter and a good place to watch the footie, Celtic in particular I gather. Despite being a haven for the unacceptable face of Scottish football, this is a wonderful boozer with character and well worth a visit. It bodes well compared to the nearby Camden competition these days. 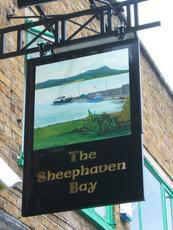 They serve ale (unusual for an Irish boozer) and the landlord is very friendly and welcoming. Give it a go.